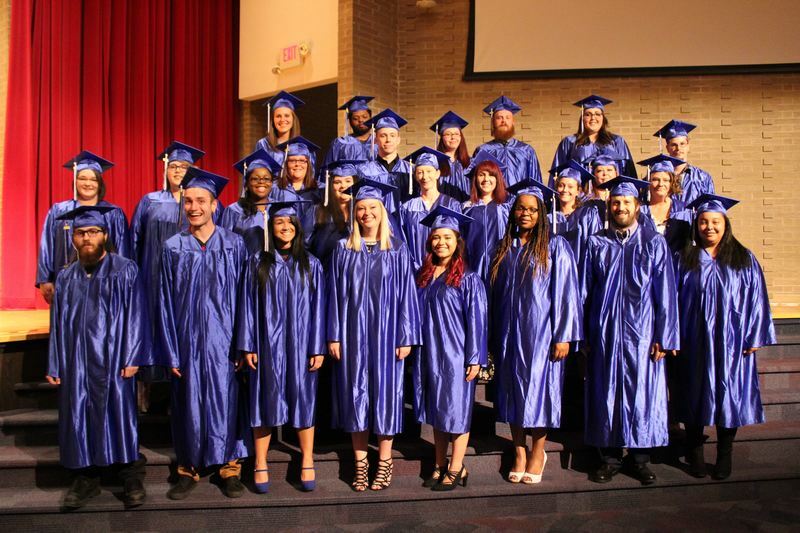 The Alliance Career Center graduated 28 students on Thursday, May 16 into four different fields, cosmetology, welding, diversified health technology and medical assisting. The commencement speech was given by Dennis Postiy, Corporate Vice President of MAC Trailer. MAC Trailer is headquartered in Alliance and has locations in Ohio, Oklahoma and Montana and employs over 1,100. 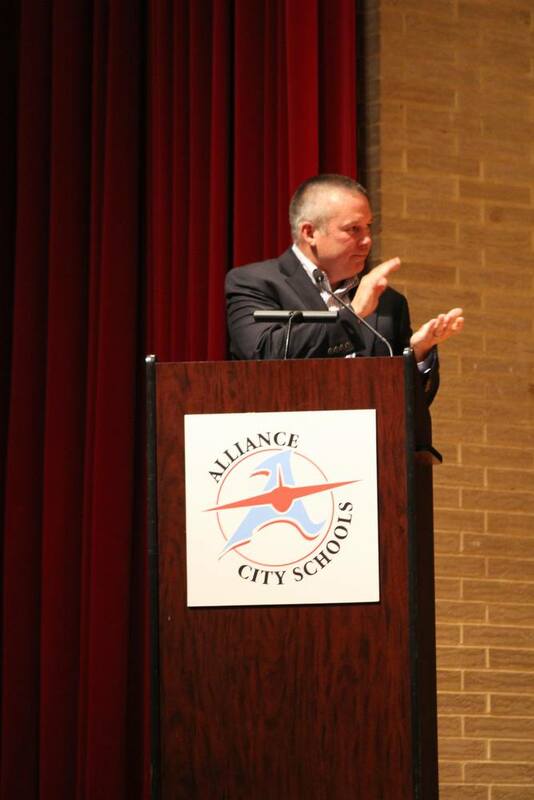 Postiy encouraged the students that their careers will be what they make of them. “It is up to you where that career goes. How hard you work will determine your success,” he said. He urged students to always work on their professionalism, to put in volunteer effort at their job and to celebrate the good things when they happen. “In closing, find what works for you and work your tail off,” he said. Debbie McKee, Coordinator of Special Programs at the Career Center, Rob Gress, Director, Robin McHenry, Office Manager and the Career Center instructors issued each graduate a Career Passport. The center is now enrolling for full-time fall classes. Information on those classes can be found at www.accrtw.org or by calling 330-829-2267. Abigail Aberegg, Cosmetology, Brittany Bryant, Cosmetology, Aphdin Cadile, Cosmetology, Zachary Carli, Cosmetology, Kassie Chestnut, Cosmetology, Angelica Cuevas, Cosmetology, Tyler Drummond, Welding, Joseph Fast, Welding, Chantel Fox, Diversified Health Technology, Misty Hamblen, Medical Assisting, Seth Hamby, Welding, Tracina Hancock-Moore, Medical ASsisting, Ladina Hancock, Medical Assisting, Alicia Lab, Diversified Health Technology, Jessica Leonard, Medical Assisting, Fay Long, Diversified Health Technology, Megan McIlvain, Medical Assisting, Valerie Nicholson, Medical Assisting, Samanth Poteet, Medical Assisting, Brandon Riggs, Welding, Kelli Skelding, Diversified Health Technology, Dustin Stine, Welding, Jennifer Taylor, Diversified Health Technology, Xavier Terrell, Welding, Lyndsey Thomas, Medical Assisting, Mason Thomas, Welding, Alante Thornton, Welding, Misty Yoho, Diversified Health Technology.